International Marketing Corporation(IMC) inaugurated its outlet “Vidyashree Herbal India”on Sundayat Bhalukumari in Lanka under Hojai District. 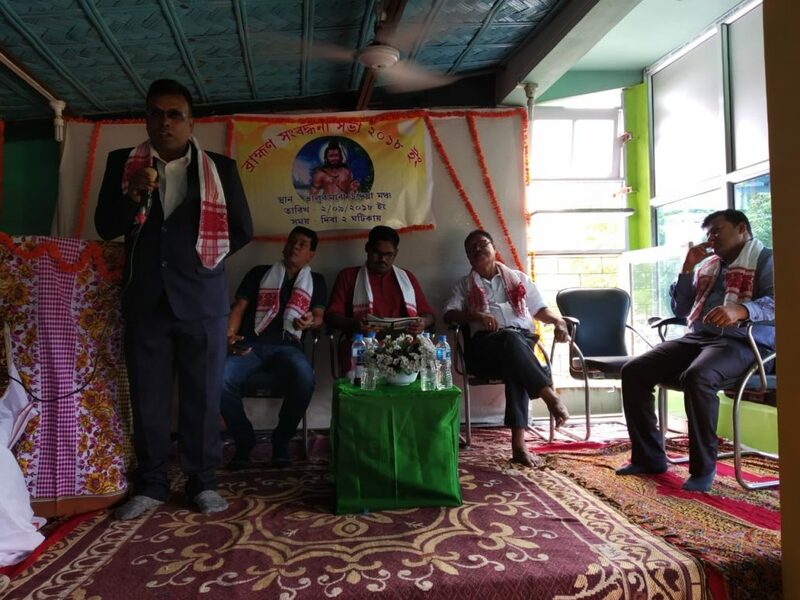 The outlet was inaugurated by the Chief Guest Election officer of Hojai district Dhrubajyoti Nath. He urged people to do exercise regularly and use ayurvedic products in their daily life and also lauded the efforts of young Kalpajyoti Pathak who took intiative in opening the outlet in the remote area. He shared the goals of IMC , that if the bread earners of the family are earning well and providing a comfortable life to their family members, the society will be empowered IMC aims to provide people with an opportunity to start their own business and be their own boss. “The herbal products offered by this corporation are not just immunity builders or energy boosters rather IMC has developed herbal remedies for every disease from common cold to chronic diseases to skin care products.” he added. He also said this is the first outlet in Bhalukumari area of Lanka. Sudhir Gon , Trailukya Das , Uttam Sarkar, Pankaj Das and many other eminent guests were present at the programme.